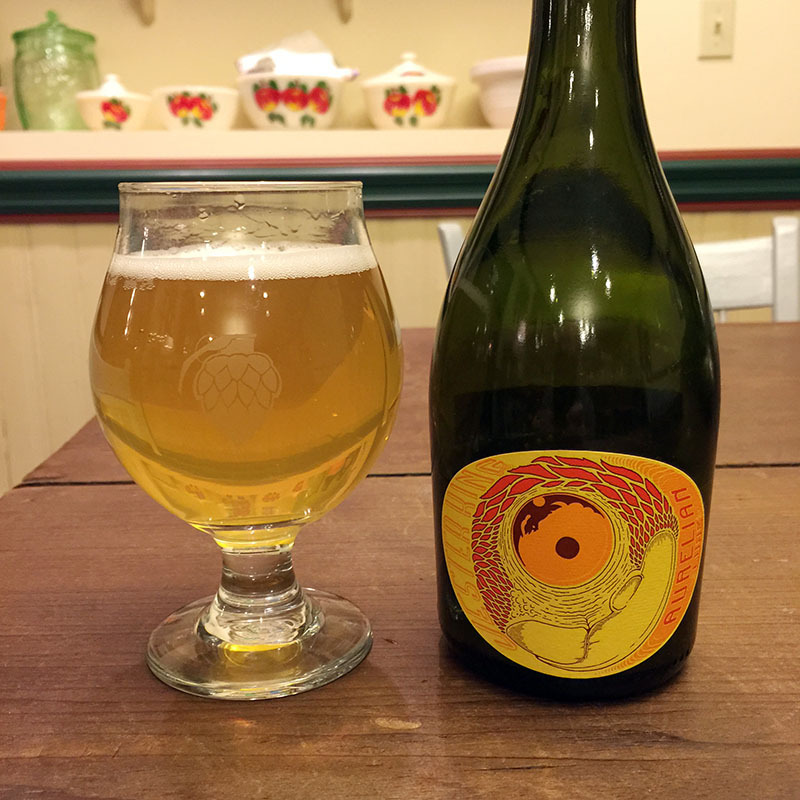 I recently had my first opportunity to drink a sour beer from Boulevard Brewing Company of Kansas City, Missouri. In addition to being a big-time sour fan, I am also very fond of the diverse range of beers that fall under saison style and I have been looking forward to trying one of Boulevard’s sour offerings ever since I tasted their Tank 7 Farmhouse Ale. Tank 7 is a very nice French/Farmhouse hybrid saison with a great blend of aromatics and bitterness as well as a crisp dry finish (which for me is an absolute requirement of the style). 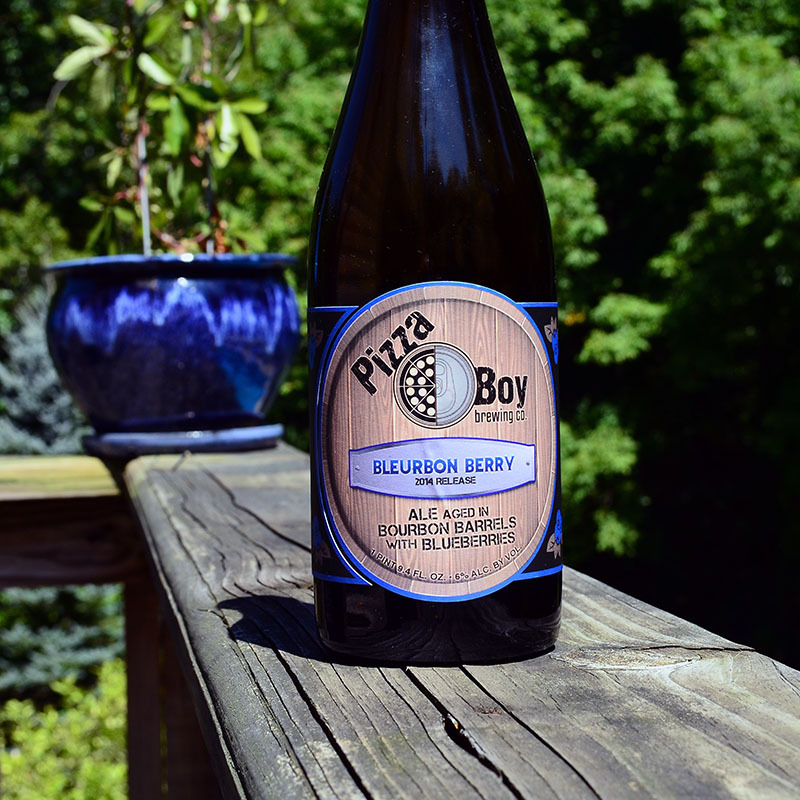 This may be a totally anecdotal opinion, but it seems to me that, in general, if a brewery can dial in a great saison, they will also have what it takes to produce excellent sour beer. 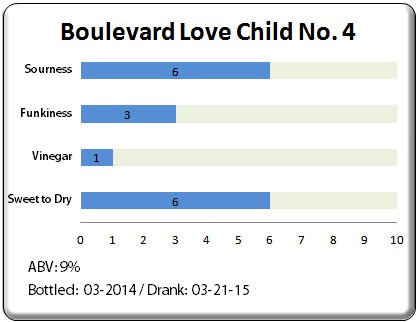 This is exactly the case with Boulevard Brewing as evidenced by their barrel-aged sour Love Child No. 4. This fourth iteration of Boulevard’s Love Child is a blended sour beer produced using both barrel and stainless steel aged base beers, with the oak barrel aged portion making up the majority of the blend. Love Child No. 4 includes beer aged in oak for between 16 months to 6 years as well as beer aged in stainless steel with Lactobacillus for acidity adjustment. 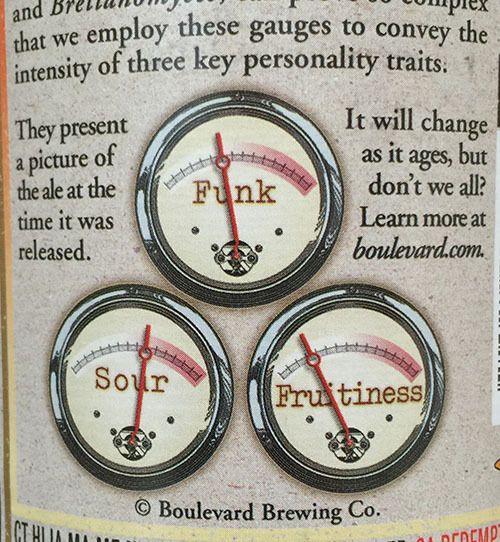 A feature of the Love Child label which I particularly enjoy is a set of three gauges designed to help drinkers know what to expect in regards to the beer’s Funk, Sour, and Fruit characteristics. Love Child poured a clear, amber-orange with an ample volume of off-white head. The beer had a fantastically complex aroma with the first impressions I took in being of oak, toffee, bourbon, sherry, red wine, and brown sugar. When continuing to smell the beer, more subtle characteristics of tobacco, candied yams, and dehydrated fruits like figs, raisons, & dates came to the surface. The beer also had light hints of vanilla and lactic acid in its aroma profile. When tasting Love Child No. 4, I found that its flavor profile married well with its complex set of aromas. The beer had a moderate level of souring which was predominantly produced by lactic acid with only a light touch of acetic acid. This acidity was balanced against a blend of caramel and toffee malt flavors as well as a pleasant sherry-like oxidation. 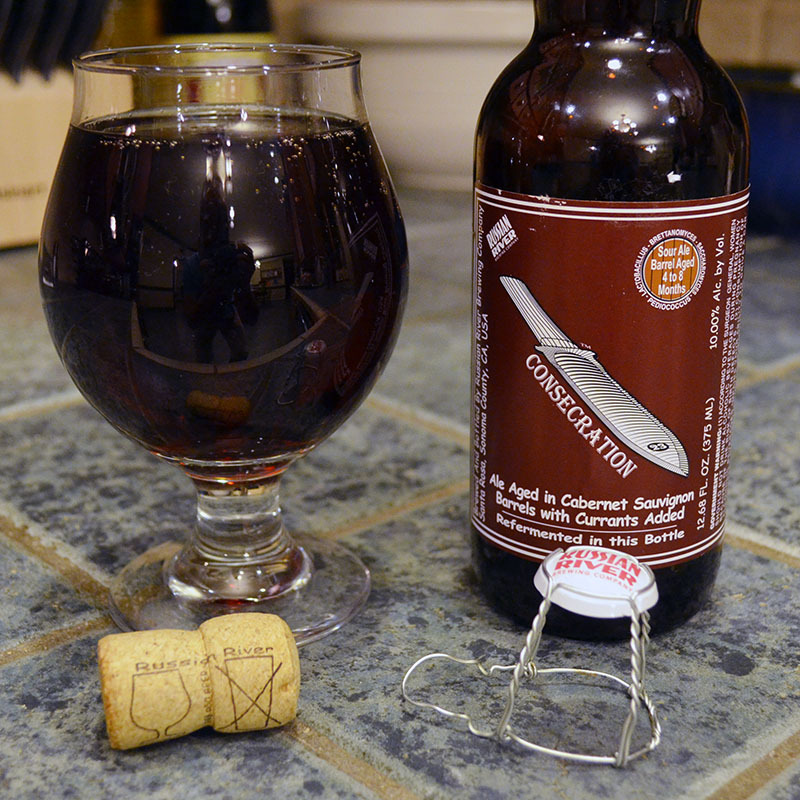 These aspects of the beer reminded me of Russian River’s Consecration without the currants added. Each sip ended with a dry finish that showcased the beer’s oak barrel aging and light bourbon flavors. 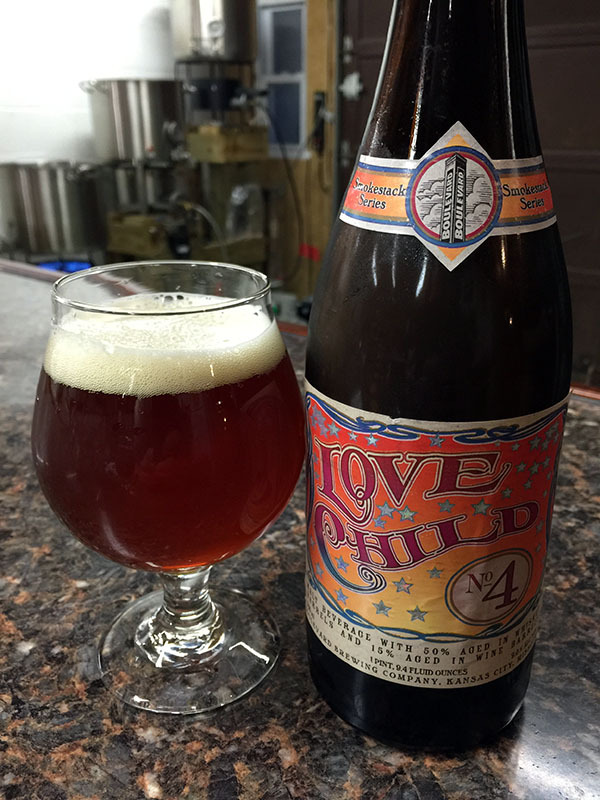 Love Child’s souring is balanced slightly above the sweetness of the malt backbone to produce a beer with a pleasant level of tartness that carries throughout each sip and was also present in the finish and aftertaste. 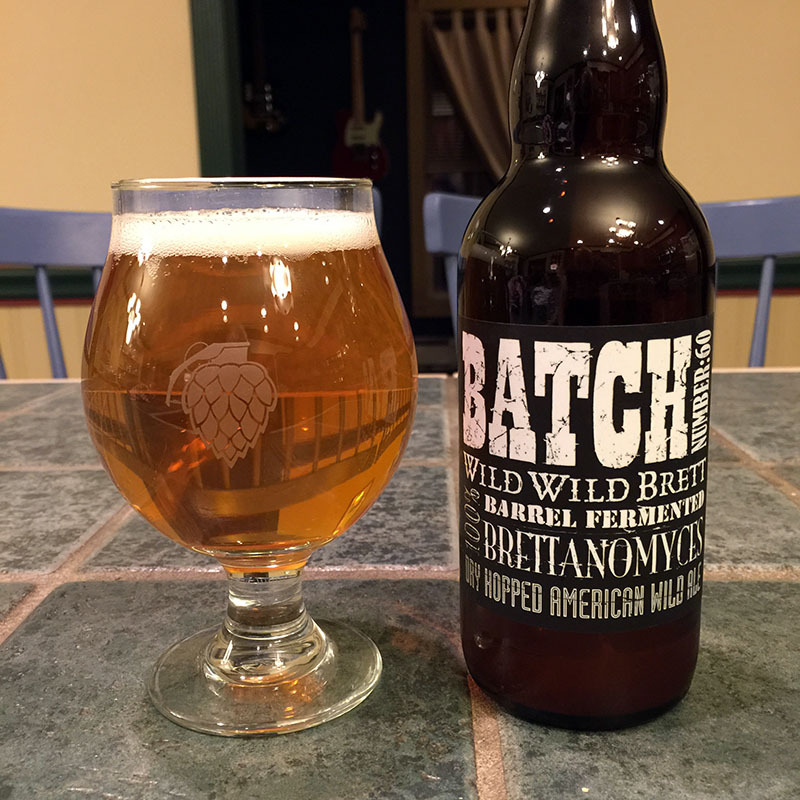 The dehydrated stone-fruit, raisin, and tobacco malt aromas were also present in the flavor profile and combined wonderfully with a layer of Brettanomyces cherry pie esters. These fruit esters were the only significant flavor contribution from Brettanomyces that I could detect. The beer’s body and mouthfeel were medium and the carbonation level was medium to high. At 9% ABV, I could sense a pleasant warming effect as I finished my glass but there were no harsh alcohol notes or any other off-flavors present. Overall, Love Child No. 4 was a very drinkable version of a classic Flander’s Red/Brown ale with a nice American twist in its inclusion of both bourbon barrel oak flavors and a fruity Brettanomyces yeast profile. With its robust ABV, this would make a great sour beer for a cool spring night. I definitely recommend tasting this one if you get the chance and I personally will be on the hunt for more Boulevard sour offerings from this point forward!